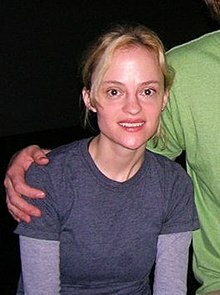 Angela Bettis (born January 9, 1973) is an American movie, television, and stage actress. She was born in Austin, Texas. In the 2002 telefilm Carrie, Angela, Jodelle Ferland and the baby replaced Sissy Spacek for being Carrie. This page was last changed on 31 October 2017, at 02:06.